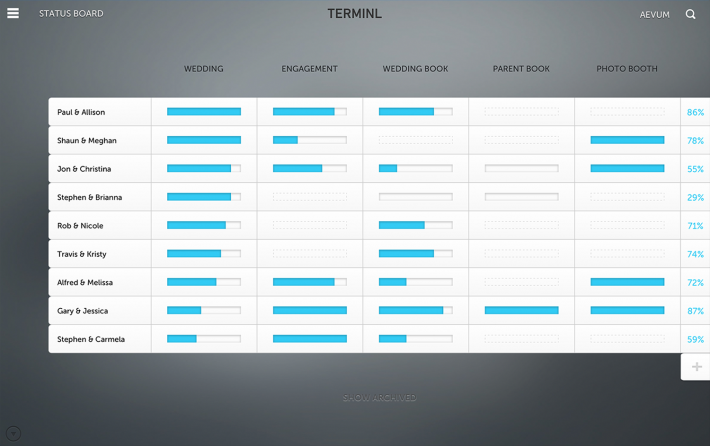 If you’re a checklist kind of person and you want to know what you’ve already done and what’s next, then Terminl is the product for you! All of your progress is tracked and accessible from wherever you are through this new online system. 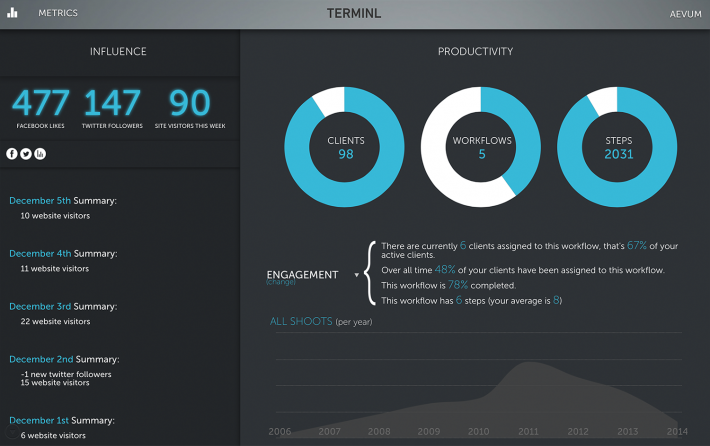 This complete workflow management system is just as slick as it is useful. 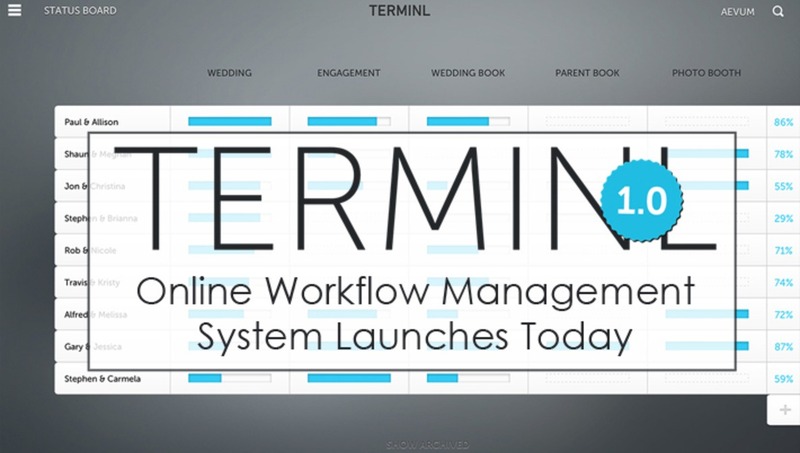 Today is the first day of the official launch of the Terminl 1.0 product for managing your workflow online. This online system seems to be aimed at eliminating the need for old school systems of workflow like checklists and whiteboards that get lost and are hard to manage and scale. I’m excited about using this product to keep me on task and making sure that every one of my clients gets great service from me without things falling between the cracks. One of the biggest ways that I see this helping me is with keeping my product ordering on time. I’ve always struggled with producing products like albums and canvas’ in a timely manner because they always end up being last on my list of priorities for some reason. I found that when I had something in front of me that shows me what I have left to do for each client, I was reminded of them more often and had better success with getting them done on time. The problem with that was that I had too many clients to keep track of on the board that I was using, and it just wasn’t feasible as my business grew. Now that Terminl is around, I have a scalable system that I can put every single step in down to the smallest little things so I make sure I don’t miss anything. Here’s a quick run through of the system, and I hope to give a more thorough description of how I’m implementing it once I’m further into this year’s wedding season. The Status board is the main viewing area where you can see the overall and single status of each client and their shoots and products. At a quick glance you can see which clients have their wedding photos completed and which have other products completed as well. You can quickly sort by couple, by event date, or by percentage of completion with a click of a button. You can see that this view is sorted by percentage of completion for the wedding photos. 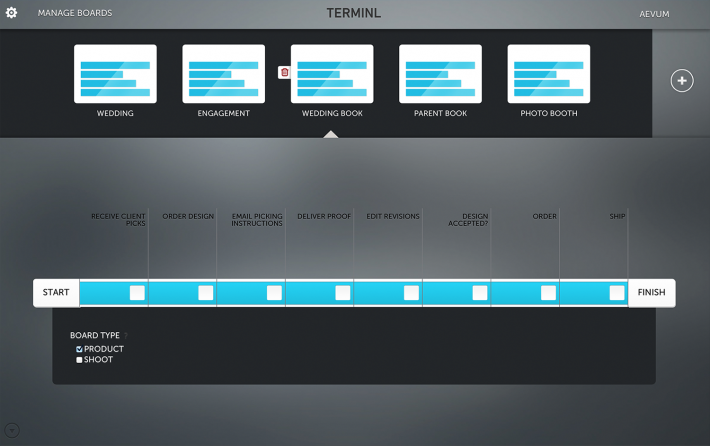 In the manage boards area you can add shoots and products and then customize their workflows below. 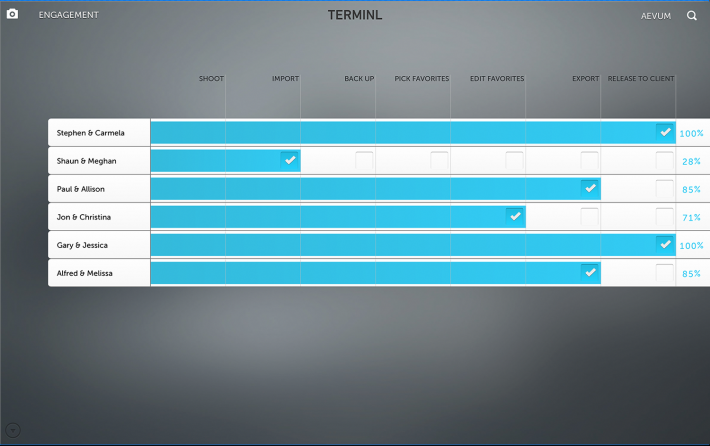 With simple add and delete buttons you can create a seamless workflow that every client can have added to their individual progress boards. There is also a view where you can see which clients are at a certain stage for any particular shoot or product. I see this as a very useful way to manage things like album orders because you can quickly see which clients are behind in their album ordering process, and which ones are ready to order so you can order together to save on shipping. The metrics page looks amazing and seems like it could be have some very useful information for times of looking back on the success of certain products and sessions over the year. I think there is a lot of potential with this view, and we’ve just seen the surface scratched with version 1.0. 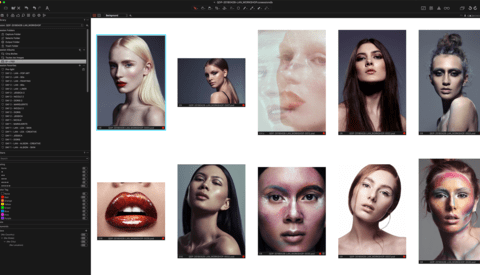 Terminl has setup a great system to allow you to try out the product by giving you the first 5 clients for free with unlimited products and shoots for your workflow. I would urge you to set aside some time so you can properly set it up from the beginning so that it’s easy to later put in clients’ names and let the magic of the program really work in your favor. Click here to check it out! I've heard from the developers that mobile support is on it's way, as well as a few more exciting features like non-sequential workflows, and alarms...so keep your eyes out for this product to just get better and better! Great review, I will check this out! BTW there is also the studio management software « Light Blue », which has similar functions. I love it! But the price is keeping me away from it. Imo it's not worth $8 a month to be able to press a button in order to get a fancy graph that tells you how far you've come with your clients work. Yeah. I'm using the trial, and it's really nice. But 8 bucks a month for this is kind of a rip-off. after seeing this article i did some searching around and i cant find any decent looking studio management software for anywhere near $8 a month. the cheapest is $20 a month. 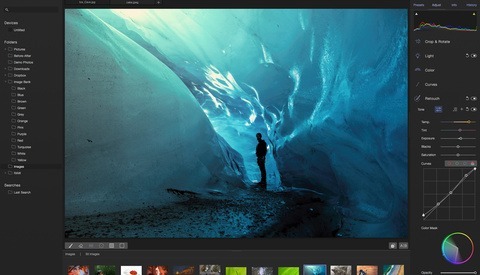 if people are using free software that would be good for wedding photography workflow, do you mind sharing? Right now I use Minigroup for project management. What I like about Minigroup is how easy it is to stay connected with clients through it. - SUBTASKS! I like to put preproduction as a master task however what it takes to complete preproduction is always different, so subtasks would be very useful and help keep things looking clean. Right now Terminal looks pretty however is missing some key features that would tempt me into signing up. I need to try this out. It looks great! 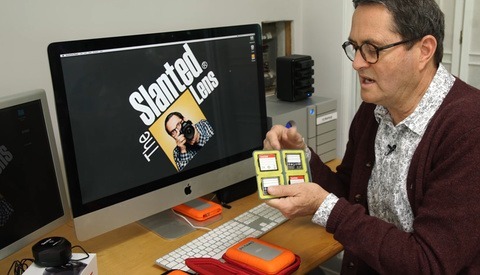 I have been looking for a new workflow system to use for wedding photography. I need this in my life! I have been looking for a good workflow system for my wedding photography. Struggling to add another client. Is there an art to this? Also appears to be centric towards people that do one kind of photography, or have one workflow that applies to evertyhing. If you do headshots, real estate and weddings, you're going to have your album workflow and photobooths next to the name of a property in your general overview. Which.. yeah. That's a bit weird, really. You should really state when something is paid product placement. Trying to pass it off as "I found this really cool product, you should use it too!" is pretty pathetic in my eyes. But then it's not like any of the "writers" on this site actually have any integrity. Good grief. Someone gave you a bad cup of coffee this morning. This isn't a paid post. I am sure he was invited to the beta but wasn't paid to write this. I have been able to get Trell.como to give me the same function for free. My inquiry emails dump into it as well. Interesting. I've been using this for quite a few months now... for free. Are they completely moving towards a paid platform?